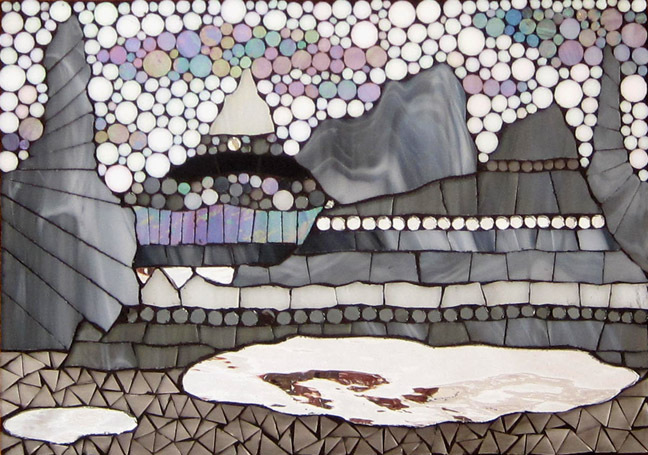 This above piece was inspired by a combination of places. The shapes of the rock formations and mountains come from the Grand Canyon of Arizona. 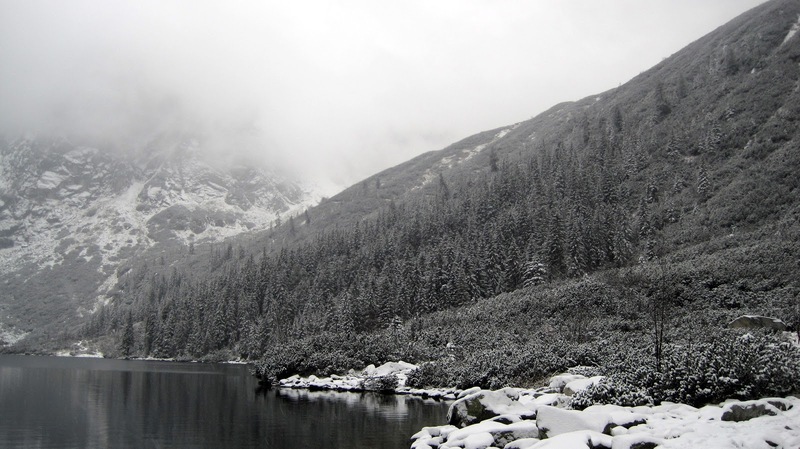 Though the colors, the lakes and the atmosphere comes from a really magical place in Poland "Morskie Oko". 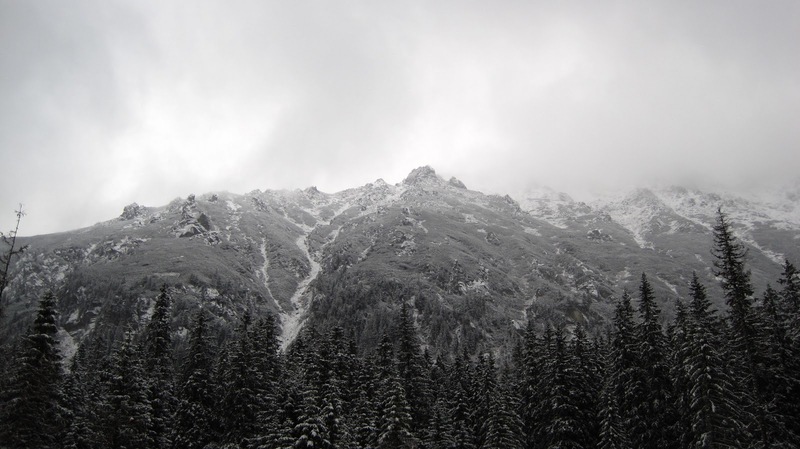 The above photo was taken in autumn on a gloomy, foggy day in the Tatra Mountains. Usually on those days, hikers are often disappointed because the magnificent views through out the hike are veiled in white fog. But on that day the surrounding views appeared in gray scale and were softly wrapped in white - the atmosphere was very unusual and we felt like we were on the moon. Out of the clearing we could see hints of the mountains coming into view and disappearing into nowhere. It was a truly magical day!